Are you a writer who is looking for a budget laptop? Well if your answer is yes then you are definitely at the right place because being a blogger myself, I can understand what all you go through when you don’t have the right laptop. A laptop is a fundamental tool which a blogger owns, also the one which earns him bread and butter. Having a laptop is always better than having a PC because you can stay connected to your clients all the time and the best thing is that you can live the laptop lifestyle which most of the bloggers and writers dream about. For all the writers out there, it is not essential to have a high-end laptop with top-notch specs, you can still get your things done on a basic laptop, but then that should be stable enough. So being a professional blogger myself, I always need to stay connected to my laptop, and I need to carry it everywhere along. So an essential feature of a laptop is that it should be portable and lightweight. Well so now here we’ve handpicked the best laptops which we think suits the best for the writers and bloggers out there. So let’s get started with our list. 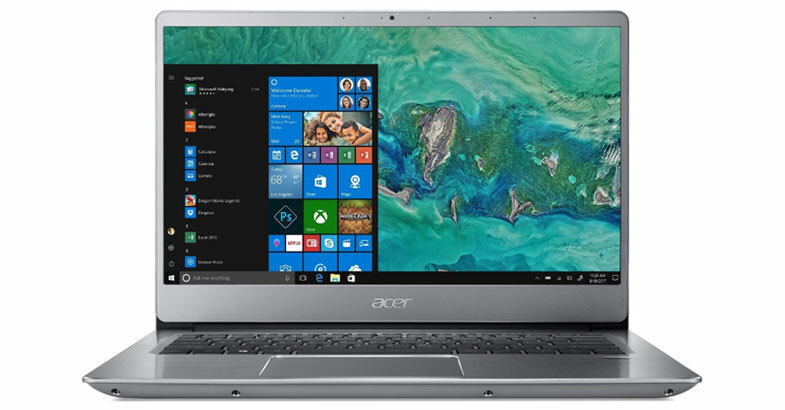 Acer laptops are always known for their build quality, and the Acer Aspire E 15 is no exception, this the best budget laptop for all the professional writers out there. First things first, this laptop is priced sub $600. Though this is a budget laptop, it does come packed with some powerful hardware which can handle most of the tasks which you’ll be doing. Now talking about the specs, this laptop is powered by the latest 8th generation i5-8250U processor which is coupled with 8GB of RAM and 2GB of NVIDIA GeForce graphics for some light gaming. Talking about storage, to make sure that your laptop boosts fast, this laptop offers you 256GB of SSD. This will always increase the overall performance of your laptop, but then if you still think that you need more space, you can always go for an external hard drive. Apart from this, this laptop sports a 15.6 inch full HD IPS LED-lit Widescreen display, and on one single charge, you can expect at least 15 hours of backup. 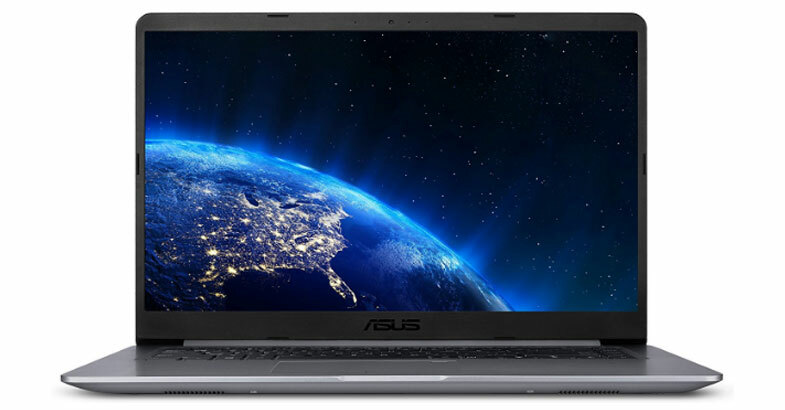 Asus is another most popular laptop brand, and the ASUS ZenBook 13 from Asus is another ultra slim and lightweight laptop which suits the best for all the aspiring writers out there. The design of this laptop stands apart from all the other laptops out there, this laptop comes with Icicle Gold aluminum metal finished chassis which both looks and feels premium. Not just this, but the laptop is just 0.5 thin and weighs only 2.5 pounds. This portable laptop sports a 13.3-inch full HD display with the latest wide view angle technology, that being said now the colors are more vivid than any of the standard displays out there. Now talking about the specs, the laptop comes powered with the Intel i5-8250U Quad-Core processor and is coupled with 8GB of RAM and 256GB SSD as internal storage. To enhance the multimedia experience, this laptop also comes with the Harman Kardon audio technology which is capable of providing you with the best possible crystal clear audio. An interesting feature of this device is its fast-charge technology that charges the low battery to 60% in just 49 minutes. And it provides you up to 14-hours of long-lasting battery backup. 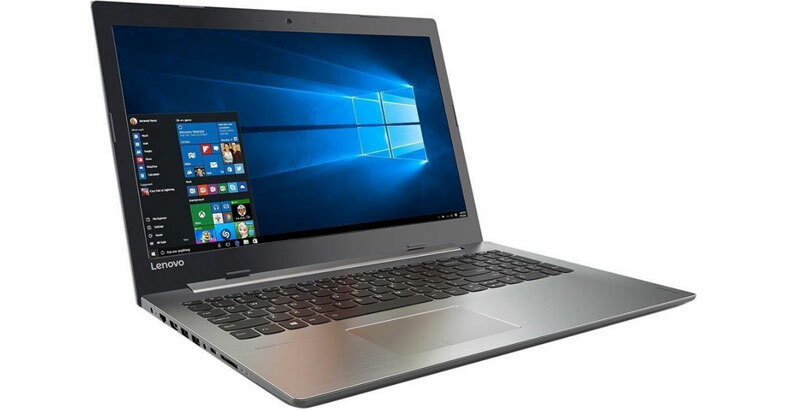 Lenovo is one such laptop which is considered to be used most in the business class category, but then the all new Lenovo Ideapad 330 is the best in class laptop for all the writers out there. Its Platinum Gray finish chassis really gives it to professional look which makes it a perfect business laptop. Talking about this laptop, it sports a 15.6 inch full HD LED Backlit display along with the Intel UHD 620 Graphics. This machine is powered by the Intel 8th generation core i5 processor with 1.6GHz which can be clocked to 3.40GHz. Apart from this, this laptop comes with 8GB of RAM and 256GB of SSD which can offer you smooth liquid experience. Coming to connectivity, this laptop supports WiFi 802.11 ac, Bluetooth 4.1 and has also got USB Type C and HDMI ports. This Lenovo laptop has included 2-cell 30 Wh Lithium Polymer battery which lasts for up to 5 hours on full charge. If you are a writer who travels very frequently, then the Asus VivoBook F510UA is the one which suits you the best. This powerful laptop comes with one of the best configurations that too with a thin profile of 0.8 and just 3.7 pounds. This laptop sports 15.6-inch full HD Anti-glare screen with extensive view technology, so now the viewing angles and the color reproduction are more accurate. The Asus Vivo Book maintains 80% screen to body ratio, the design of the laptop looks stunning. Talking about power, this device is powered by the i5-8250U 8th gen processor which comes with turbo boost up to 3.4GHz. Apart from this, the laptop comes with 8GB of RAM and 1TB HDD, so now storage should not be an issue for all your personal and professional needs. A worth mentioning feature of this notebook is its fingerprint sensor which allows you to log in into the system with just a single touch. Overall, this is the perfect laptop in all the aspects for an aspiring writer, it is compact but yet powerful. Are you a fan of the Surface Pro laptop? But then don’t want to spend so much money on a laptop? No worries, because now you can get the Acer Swift 3 laptop for half the price of Surface Pro! Yes, you’ve heard it right. The entire design of this laptop has been made to look similar to the surface pro, but then it is a little less capable when compared to the surface pro. But then the laptop can smoothly handle all the tasks which throw at it. Thanks to the 2 in 1 functionality, you can either use it as a laptop or as a tablet. It has 14-inch of full HD IPS Widescreen LED-backlit display with Acer Color Intelligence which delivers exceptional clarity and also maximizing viewing experience in the limited space. Talking about the specs, this Swift 3 leverages the new 8th Gen Intel Core i5-8250U processor with turbo boost technology up to 3.4GHz. This device featuring with the new 16GB Intel Optane memory and 8GB of DDR4 RAM, which provides a fast, smooth, and amazingly responsive computing experience. This device is equipped with 1TB of HDD drive, which is good enough space to store all your data. Apart from this, with this device, you will no need to remember a password to log into the Swift 3 as it has a fingerprint sensor which helps to quick and secure way to log in. This notebook keeps you powered up around 12-hours on full battery charge to accomplish all your daily tasks from morning to night. 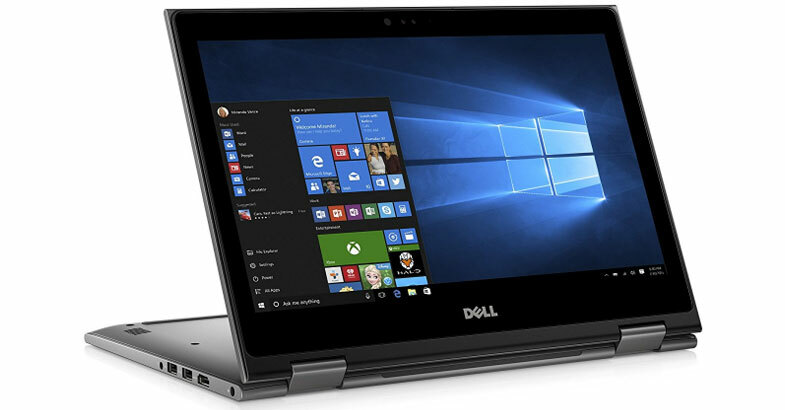 This is the first Dell laptop in our list, the Dell Inspiron 13 5000 is a 2 in 1 convertible touchscreen laptop, so if in case you are looking for a touchscreen convertible laptop then this one from Dell suits you the best. Its Theoretical Gray finish exterior is match with a smooth, matte black inside, which gives an attractive, professional appearance that looks great. Its 360-degree hinge allows you to use this laptop in four different modes. Though this is a 13-inch laptop, it maintains a 0.77 thin profile and weighs just 3.72 pounds, so that being said you can carry this laptop anywhere. This laptop comes with a 13.3 inch full HD IPS TrueLife LED Backlit display which is touchscreen enabled, and hence you can enjoy all the features of Windows 10 OS. Talking about the specifications, this tiny beast is powered by the Intel Quad-Core i7-8550U processor which can be clocked up to 4.0Ghz. You also get 8GB of RAM and 256GB of SSD for faster and smooth performance. The Macbook’s are mainly known for their exceptional speed and durability, and the MacBook Air 13 inch is no exception. Macbook’s are very lightweight and also compact too, so you can easily carry them anywhere you want to without having the burden of lifting it. The best part of Macbook’s has also been the battery backups, with one single charge your MacBook can easily last up to 12 hours without needing to plug it in. The colors on this laptop are gorgeous, thanks to the retina display. Talking about specifications, this laptop is powered by the latest 8th Gen Intel Core i5 processor and is coupled with 8GB of RAM and 128GB of SSD. If you looking out for more storage, then you can go for the 256GB version. Multi-tasking is just bliss on this laptop, and moreover, me being a blogger myself, I’ve been using this laptop for the past three years, and I am pretty satisfied. 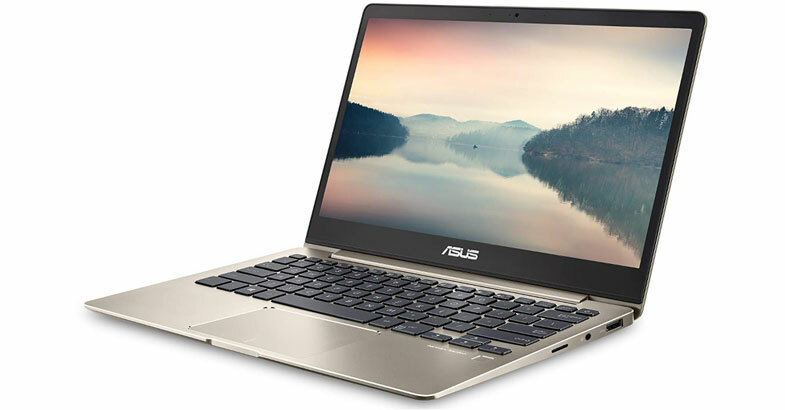 First things first, this ASUS VivoBook S15 is a pretty portable and slim laptop. There is one unique feature for the writer which this laptop offers, you get an exclusive ErgoLift hinge which will automatically tilt the keyboard to 3.5 degrees so that the writers will get a much more comfortable position while typing. Not just this, the laptop does come with an ergonomic backlit keyboard and also a built-in fingerprint scanner. Talking about the specs, the laptop comes packed in with 1.6Ghz Intel Core i5 processor which can be clocked up to 3.4Ghz. This device is coupled with 8GB of RAM and 256GB of SSD, which is a perfect combination of performance and storage. It has got standard 15.6-inch of full-HD WideView display with 1920 x 1080 pixels of resolution. Out of the box, the laptop comes pre-installed with Windows 10 and also NanoEdge Bezels. All in all, it’s a decent laptop from Asus for the price which it is being offered at. Well, this was our list on which is the best laptops for writers on a budget. If you would ask me about my personal suggestion, then I’ve got two options. 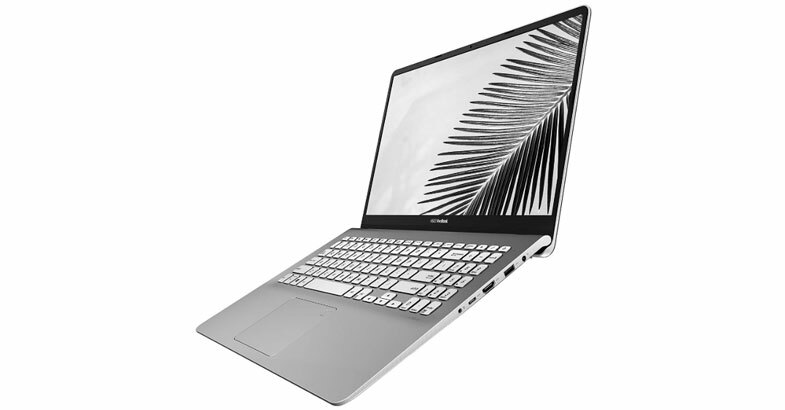 Firstly, it is the Macbook for its smooth performance and durability, but then if you do not have a budget for Mac, then I would definitely recommend the Asus VivoBook F510UA. Then again, all the laptop which we’ve covered are the best in their category, but I would personally go with these two according to my writing and traveling needs. Do let us know in the comments section down below on which is your favorite laptop.